Fordere "Dein Recht auf Remix"! Zeichne die Petition und schicke uns Deinen Lieblingsremix! 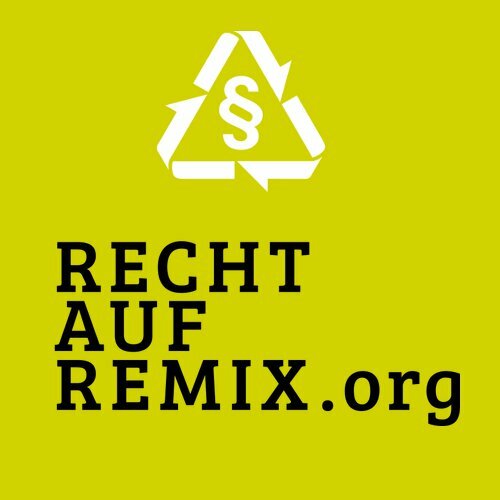 Rechtaufremix.org is a German initiative to change the German copyright laws. We demand the "right to remix"! Please sign, if you want to support us and also leave us your favourite remix/mashup. By doing so, you will also give that remix/mashup your vote for the upcoming Remix-Award. There is also an interview with me by musikmarkt about my visit in the German parliament, but it is in German...hope to have a translation ready soon!